Community Unites for a "Day of Action"
Every year the United Way coordinates a “Day of Action” where people all over the world donate their time to improve the community. 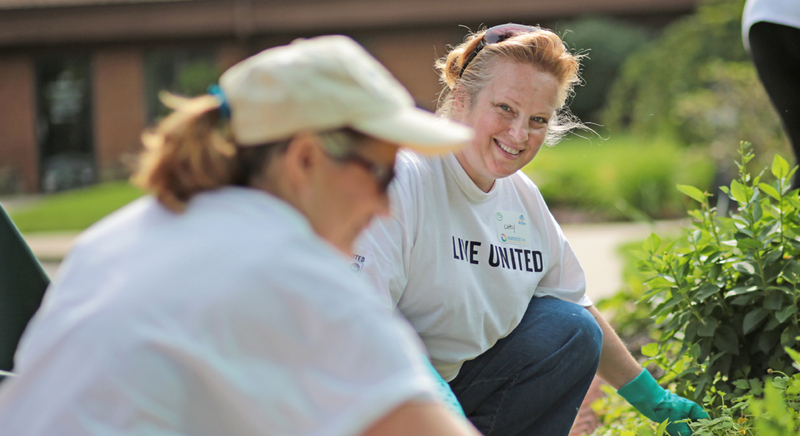 The event allows for different organizations in the area to connect and grow together and form strong community partnerships through outdoor and indoor restoration projects. This year Summit DD decided to get in on the action with almost 100 Summit DD staff members spending their day landscaping, painting, cleaning and even renovating parts of a home. 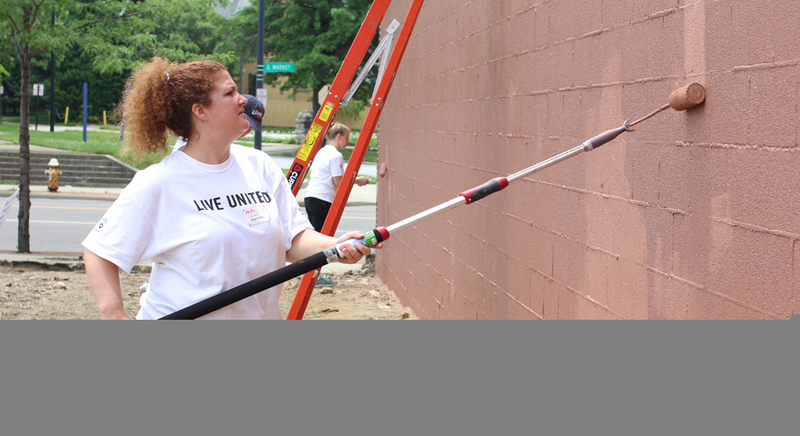 According to the United Way of Summit County, the project drew in over 1,400 volunteers working on over 100 projects and ended up saving the community over $195,000 in just one day! 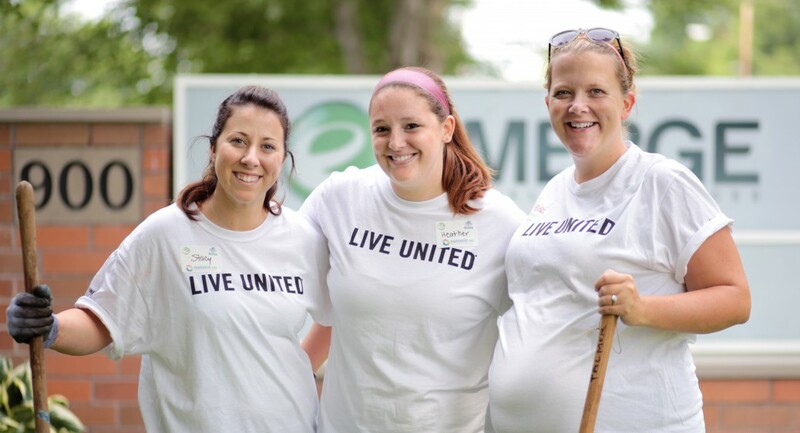 In our continual effort to deepen our roots within the community, Summit DD linked up with EMERGE Counseling Services, the Akron Blind Center and Rebuilding Together Greater Cuyahoga Valley for the day’s activities. 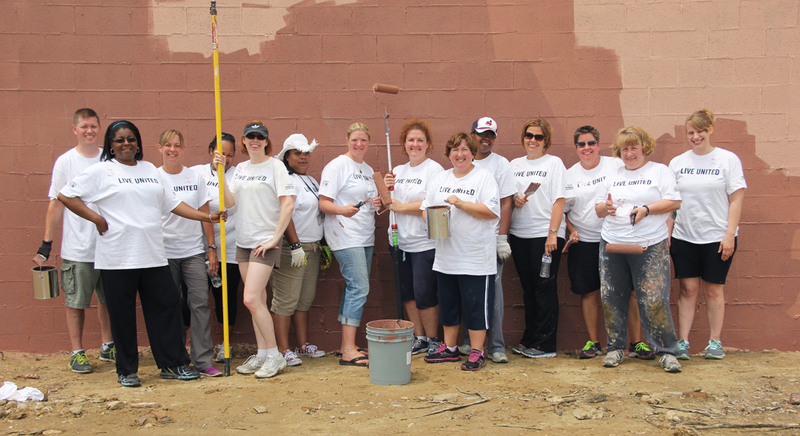 Volunteers not only transformed each organization’s facilities but also learned about the impact each has on the community. 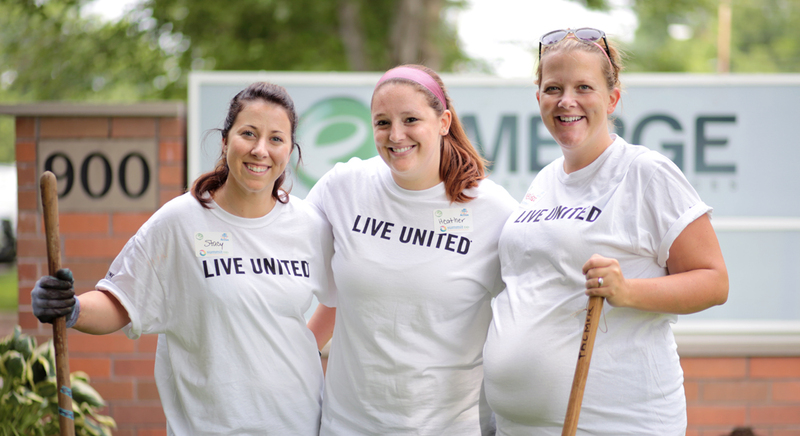 By the end of the day, everyone’s bright white Live United t-shirts were covered in paint, mulch and saw dust, becoming the badge of honor for the day. 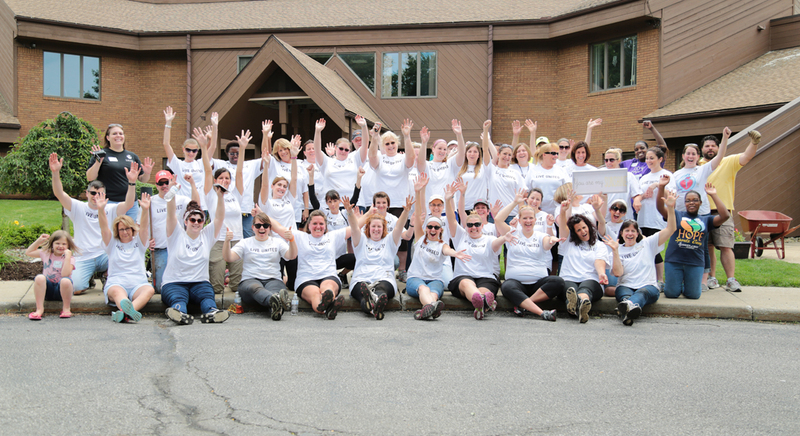 Each organization walked away with a sense of accomplishment and stronger ties to their fellow community partners.